We are an oral history archive. Through our decades of work in the compilation of audio recordings and books for educational and commercial purposes, thousands of Irish voices from all regions of the country have been captured and archived for the future. All individual recordings are available for purchase by download for €6.99 or on CD €15. 20 recordings about the planning, designing and evaluating of Ireland’s infrastructure and the built environment. 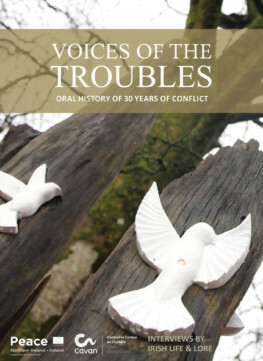 85 interviews detailing the legacy of 30 years of conflict are available through Cavan County Library service. 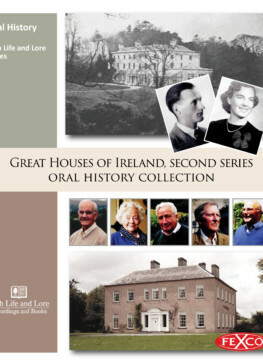 73 recordings of family histories, stories and anecdotes about daily life in some of Ireland’s Great Houses. 83 thematically-organised recordings compiled between 2002 and 2018 relating to Irish social history. Listen to some selected soundclips that have been taken from Irish Life and Lore's Oral History Archive to give you a broad view of what we do. *Most recordings in our archive can range from 50 minutes to over an hour. Clip 1: Matthew Graham from Donegal recounts the thatching of rooves during the war years (WW2). 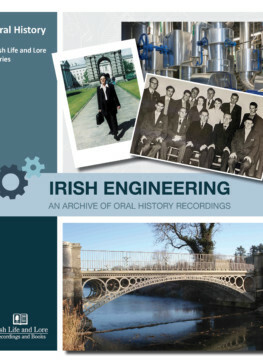 Clip 2: A number of engineers with careers spanning 50 years, speak about how the engineering community has altered the Irish landscape in the 20th Century. Clip 3: Heather Callaghan, a pioneering female show-jumping champion in the 1960s and 70s, recalls her days in equestrianism. Clip 4: Shem Downey, who played with the Kilkenny hurling team from 1946-1955 recalls his first big game. Clip 5: Maureen Daly from Castlegregory talks about joining the Civil Service in 1954. Clip 6: Dr. Gearóid Lynch recounts the memories of his father who awaited execution in Mountjoy Prison following his capture after the 1916 Rising. Clip 7: Fionán Lynch talks about canvassing for the first Dáil Éireann in 1919. Watch our video below for an explanation of what we do. Please contact us here if you are interested in having oral history recordings compiled. 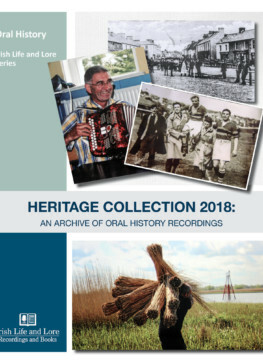 President Michael D. Higgins formally presented the 1916 Rising Oral History Collection, a collection of 245 recordings collated by Maurice and Jane O’Keeffe of Irish Life and Lore to the National Library.